The show Wire Russia 2011 took place in Moscow in May 23-26. 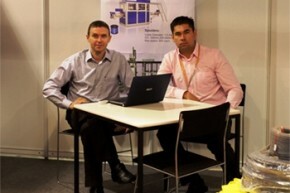 Mihail Sharapov and Marko Nesselmann represented Windak company at the exhibition. The show was much better than 2 years ago. It showed that the industry began to recover after the crisis. Windak received a lot of new leads and expect to get from 2 to 4 orders after this show.